Uma música que, infelizmente, não conta uma história mas que relata o que já faz parte da nossa história como país. Os nossos parabéns ao Tiago Nettencourt por este documento que marca, tão precisa e preciosamente, este presente tão triste. A cada mês, temos que escolher um tema para apresentar no Music Alliance Pact, temos uma enorme surpresa. Este mês não é uma excepção. Com muito prazer, levamos ao mundo, a bordo do nosso jacto particular, Yesterday, o projecto a solo de Pedro Augusto, que já vai no seu sexto álbum, contando com este, "The Waiting". É deste álbum o tema "Destruction", canção que será divulgada por todos os membros da Music Alliance Pact até 15 de Abril. Pedro Augusto é um verdadeiro polímata. Ele compõe, toca quase todos os instrumentos, produz os discos, pensa, cria e faz o trabalho gráfico dos mesmos e realiza os seus vídeos, como é o caso do que poderão ver, abaixo, para "Destruction". O ponto fraco de Pedro Augusto é que não canta o fado porque, se assim fosse, não teriamos que esperar seis álbuns para o ouvirmos nas nossas rádios. O álbum "The Waiting", que será editado a 7 de abril, está disponível para pré-encomenda aqui. ARGENTINA: Zonaindie Plein - Madera & Fuego Plein started almost seven years ago as an excuse for a group of friends to gather and play their favorite songs. After several years of playing live and participating in different compilation albums, this indie-rock band from Buenos Aires released their first record in 2012, with songs recorded using a method of pre-established rules inspired by Lars von Trier's film The Five Obstructions. Madera & Fuego is taken from their 2014 EP Número Uno. AUSTRALIA: Who The Bloody Hell Are They? Yon Yonson - Culver City Childhood friends Andrew Kuo and Nathan Saad are Yon Yonson, an experimental pop duo from Sydney. Their sound is ambitious and unpredictable - listen no further than their latest release Hypomantra to understand. As the band designed the record to be played as a continuous set, each track on the record is incredibly malleable, both in sound and score. Culver City, with its origami beat samples, is a glimpse of Yon Yonson's standout oddities which show that this talented duo's output is just as diverse as their intention. CANADA: Quick Before It Melts The This Many Boyfriends Club - Only Trying "We are a mercurial bunch," says Casimir Frederic Coquette Kaplan, guitarist and vocalist for The This Many Boyfriends Club, since by the time you hear Only Trying, vocalist Veronica Danger Winslow-Danger will have sung her last lo-fi "dandy punk" show with the band. A new single will also be up for the offering, signalling yet another shift for this ever-evolving Montreal band. I'll follow this club wherever they want to lead me. You will too. CHILE: Super 45 Cóndor Jet - Igual Que Ayer Antonio Favero, Nicole L'Huillier and Tomás Vidal are Cóndor Jet, a trio that has refreshed the indie-rock scene in this country. They play psychedelic dream-pop, so they were a perfect fit to open for Tame Impala last October in Chile. Igual Que Ayer is taken from their debut album Anillos. COLOMBIA: El Parlante Amarillo Goli - Tú y Yo Goli is the project of Sara Rodas, born in Medellín, who is remembered for being the singer of synth-pop group Mr. Bleat. Now Sara shows us her other side, in which we perceive something more intimate and romantic. Tú y Yo is taken from her debut album released this month. Don't miss the limited edition handwoven version. DENMARK: All Scandinavian Shiny Darkly - Dead Stars This edition of MAP marks my fifth anniversary as Denmark's representative in this great music blog alliance. It's a special occasion so I'm happy to be able to mark it with a track from some of my all time favorites, Shiny Darkly, who will release their long-awaited (and excellent, I might add) full-length debut, Little Earth, in Denmark on March 31 and internationally on May 5. A MAP exclusive download, Dead Stars is the nine-plus minutes of awesome post-punk album closer. DOMINICAN REPUBLIC: La Casetera Sin Fin, Realidad & Lugo Santiago - La Expropiación Legal Several hip-hop artists united to record a tribute album for Juan Antonio Alix (available as a free download on the link above), one of the most influential poets of the Dominican Republic and a master of "décimas", ten-line poems that usually satirize social, political and religious themes. One of the poems, La Expropiación Legal (written in 1876), attacks communism directly, accusing the government of seizing private properties for their own benefit. Rappers Sin Fin, Realidad and Lugo Santiago add their rhyming skills to turn this song into one of the most memorable moments in the album. ECUADOR: Plan Arteria Cuervos - Juan Cuatrero Juan Cuatrero is a story told within the old west of Quito and the first track on Cuervos' self-titled album, released in 2013. Wild, poetic and adult-oriented rockabilly, it's a mature record full of great textures and an air of contemporary folk. ENGLAND: Drowned In Sound FEMME - Daydreamer The Beyoncification of modern popular music is a wonderful thing. A smidgeon of melancholy shimmering on a groove that you can grind you hips to is never not loved at DiS HQ, and south Londoner FEMME seems to have a few of these darkthems lurking beneath her sparklier, crunchier, poppier numbers. Daydreamer has lyrics about rain in her heart but thankfully the inner sadness never totally eclipses the charm of the head-twirling beat. A bright future awaits. ESTONIA: Rada7.ee Allinn - 2 Maailma Allinn released their debut album in November 2013 and 2 Maailma showcases everything they're capable of. Bravely experimenting with sounds, mixing haunting vocals, tribal drums and a sense of 90s breaks scene, they take you on a journey that you wish would never end. FINLAND: Glue Exotic - Red Lights / Rainy Nights Exotic is an electronic pop duo from Finland even though they were first conceived and founded in Barcelona. Red Lights / Rainy Nights is taken from the upcoming EP Milkshakes which Exotic describe as a piece of minimalist techno-influenced lo-fi pop. GREECE: Mouxlaloulouda Sugar Factory - Chamber Music Sugar Factory's Chamber Music is intensely atmospheric, beautifully tense, emotive and melodic with subtle sonic shifts, stuttering percussions, guitars very much the centre of attention and ample majestic moments that take prisoner of your head and your heart. Their limited edition double A-side single is available for free download on Bandcamp. INDIA: NH7 Dualist Inquiry - Lumina Indian independent music's summer anthem for 2014 may have well and truly arrived in the form of Dualist Inquiry's latest single Lumina. His first solo release in almost a year following the formidable Doppelganger LP is a catchy guitar and synth-driven indie-dance tune that features the 27-year-old producer on vocals for seemingly the first time in his own work. A variety of palatable styles of dance music get the Dualist Inquiry treatment here, ensuring Lumina sounds just as great driving home after a long night at the club as it does driving towards the city lights hours earlier. INDONESIA: Deathrockstar Marco Steffiano - I'll Be Fine feat. Monita Tahalea If life gives you lemons then you make lemonade. When life gave Marco Steffiano he wrote a beautiful song about letting go and invited some of his closest friends to help. IRELAND: Hendicott Writing The Rusty Fixtures - When Ya Left Me Strung together on beer-money budgets in the finest of Irish folk traditions, The Rusty Fixtures nevertheless throw a glance or two in the direction of reggae and blues in When Ya Left Me. The break-up track - an unreleased MAP exclusive set for their second EP - sees the progression of a bittersweet tinge that's been ever-present since the rural rising stars saw their kit stolen, burnt and then replaced by the local community back in 2011. Now edging towards Dublin and starting to make an impact, the five-piece are paying it forward, offset harmonies, mellow buzz, cajons and all. ITALY: Polaroid Winter Dies In June - Big Sale Saturday If I didn't tell you that this band comes from Parma, you might think they hail from some remote place in the United States. I am truly amazed how Winter Dies In June are able to speak the same language you can find in The National, The Walkmen or Band Of Horses records. It's emotional, resonant, epic indie-rock with huge reverb, piano and guitars that will make you shiver, and so much passion. You can download their debut album, The Soft Century, for free at Bandcamp. JAPAN: Make Believe Melodies Pop-Office - Only Love Can Break Your Heart Nagoya outfit Pop-Office have built a reputation in Japan on being loud, fuzzy and at times chaotic. So it was a bit of a surprise to see them cover the Neil Young song Only Love Can Break Your Heart for a recent EP. Makes sense after listening. The group put their personal stamp on the song, turning it into a lurching number prone to stretches of noisiness. The sentimental core remains, though. MALTA: Stagedive Malta Clandestines - Downer With a combined weight of 407lb and a combined age of only 54, Clandestines have managed to build a strong following locally with their DIY ethic and catchy hooks. They have just released their first full-length album, Saturday As Usual. With a mix of upbeat, distortion-driven songs and slower tracks with a slacker vibe, the record offers themes of love, hate and boredom as well as a sufficient dose of anger. MEXICO: Red Bull Panamérika Chicano Batman - Cycles Of Existential Rhyme Chicano Batman is a Latin rock band, based in Los Angeles, with a unique and awesome sound that drinks from a core of 60s Mexican psychedelic balladry. Masters of nostalgia, their music is as genuine and authentic as the vast array of influences shown in every track. They always record live and use analog instruments. Chicano Batman just released their second album, Cycles Of Existential Rhyme, also the name of this month's MAP track. PERU: SoTB Invernal - Viridialand 1 It all began in the summer of 2010 when Marco Malpartida wanted to start an experimental project. Later he teamed up with Christian Vargas and Jesica Arakaki and together they formed Invernal. The band just released their first album which features seven tracks largely influenced by shoegaze and dream-pop, a style softened even more by Jesica's vocals. PORTUGAL: Posso Ouvir Um Disco? Yesterday - Destruction Yesterday is the project of Pedro Augusto, who this month released sixth album, The Waiting. Destruction is its first single and comes with this video. As well as playing almost all the instruments on the record, Pedro is the composer, writer, producer, mixer and artwork designer. 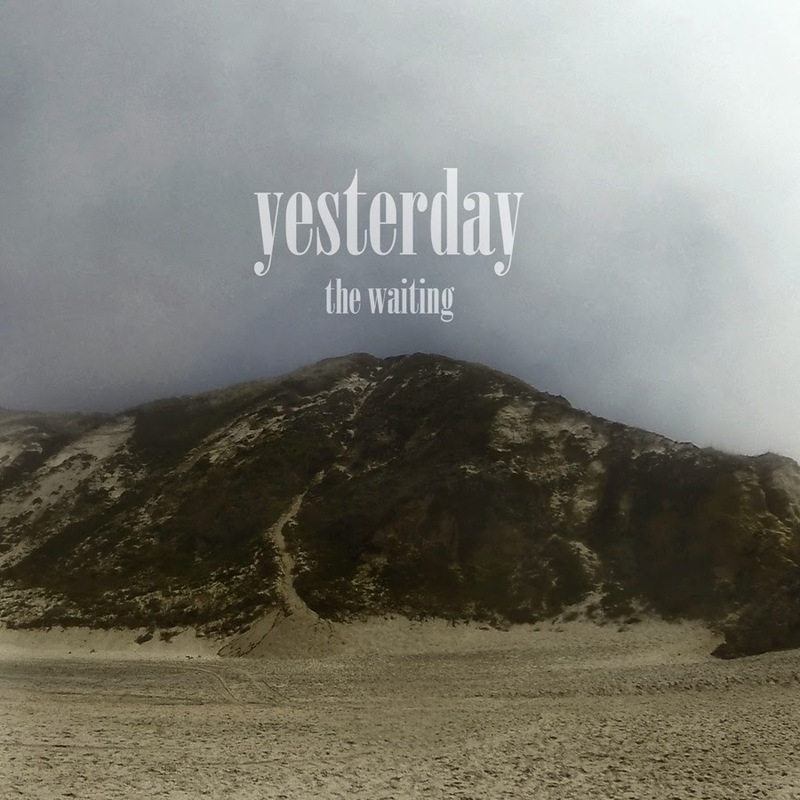 Yesterday creates sophisticated pop which falls somewhere between Saint Etienne and Eels. PUERTO RICO: Puerto Rico Indie Campo-Formio - Barón Barón After four appetite-whetting EPs, Campo-Formio has polished their sound to perfection for their highly-anticipated debut album, Here Comes... Campo-Formio!, out this month through the band's own label, Dead Mofongo Records. Throughout the record the group demonstrates an encyclopedic knowledge of rock, assimilating numerous influences with great intelligence and style, from Puerto Rican gutter punk to surf, prog and post-punk - all within the same song. Barón Barón is the second single from the album. ROMANIA: Babylon Noise Moebius - G Less than a year since the band's debut, Moebius have succeeded in surprising music fans with a different take on alternative rock. With a special style that perfectly binds post-rock and neo-folk influences with the classic indie and psychedelic sounds, Moebius are without doubt the most relevant Romanian alternative band of 2014. Proof of this is their debut single G.
SCOTLAND: The Pop Cop Lists - Autumn Lists is a young man by the name of Ali Milesi from the island of Arran, but now based in Edinburgh. Autumn is the first song has ever shared and, trust me, that magnetic pull you experience when you first hear it will only get stronger after repeated listens. An exquisite lullaby, its hushed, quivering vocals and finger-picked acoustic guitar has already sparked an impressive amount of online buzz and gushing praise. SOUTH KOREA: Korean Indie Hollow Jan - Day 2: The Day Before For as long as they've been around, Hollow Jan has been offering the very best screamo to be found in Korea and abroad. Following the critically acclaimed album of 2006, this month the band finally released its long overdue second full-length album, Day Off, based around the concept of death, just in time for their SXSW debut. With Hollow Jan's stunningly beautiful post-rock arrangements supporting the highly emotional vocals, Day 2: The Day Before is a dramatic song of epic proportions. SPAIN: Musikorner Hanselett - Tower It seems like Hanselett has brought her music from the past, where there were knights, princesses and maybe dragons, who knows? What we do know is that Hanselett is one of several music projects by Monik D'arc, a multi-instrumental singer-songwriter from Barcelona with an indie background but highly influenced by electronic music and medievalism. A true delight. UNITED STATES: We Listen For You Vertical Scratchers - These Plains Merge Records earn their legendary reputation for having a near-perfect ear. They continue to display such a talent with their newest find, Vertical Scratchers. One would not be wrong to sense a Kinks/Buzzcocks crossover feel with a contemporary edge and energy. This is a quick taste that will leave you craving more.